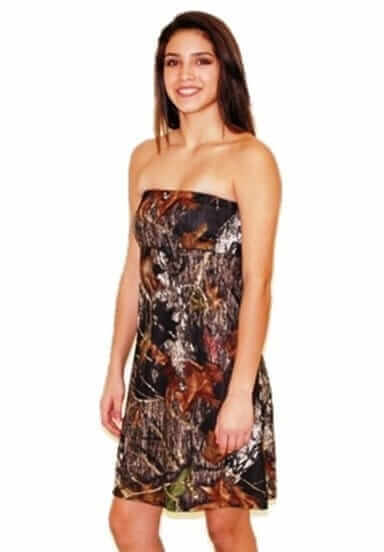 “This brand new in-stock size 16 TERRI gown is in True Timber Snow Fall with the fold-over bodice band and lace-up ties in the same matching camo pattern. The fold-over bodice band has a rhinestone embellishment for a touch of sparkle. The back of the gown features a corset back which allows for adjustments in the fit. The lace-up ties and modesty panel are also in True Timber Snow Fall. This size 16 dress has measurements of B-40, W-32, H-44, and the hem to hollow length is 59.